Disney has just completed one of the biggest mergers in entertainment history by swallowing up 21st Century Fox and growing into an even bigger monolith of franchise dominance, but that doesn’t mean the most valued Fox properties for Disney’s Marvel Cinematic Universe will be arriving anytime soon. Due to an array of factors, it’s still likely going to be quite a while before we potentially see familiar mutant faces—with one notable exception—invading the MCU as we know it. First, there’s the matter of existing producer deals that may have to be severed before franchises such as “X-Men” can move forward. According to The Hollywood Reporter, Lauren Shuler Donner, who has been a producer on every X-Men film at Fox, is reported to have some kind of deal that gives her automatic executive producer credit on any X-Men film, whether or not she’s actively involved. A similar deal may be possessed by writer-producer Simon Kinberg, whose directorial debut is still coming in the form of X-Men: Dark Phoenix. These types of deals would likely need to be bought out by Disney. Then, as suggested above, there’s still the matter of the two X-Men properties that have been hanging in stasis for years. Dark Phoenix is at least committed to its June 7, 2019 release date, although confidence in its prospects seems to be shaky, to say the least. 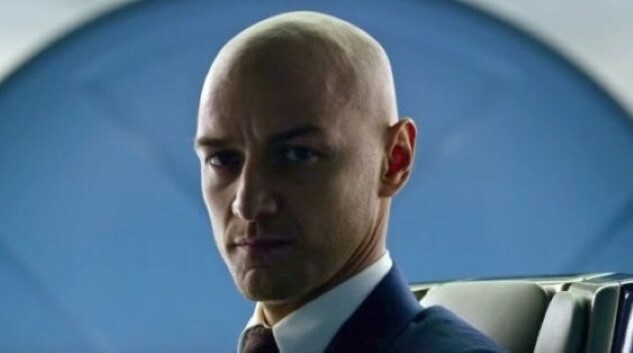 The film underwent extensive re-shoots after bad audience reactions to its first test screenings, and overall it feels like a less-than-momentous way to end the official timeline that began all the way back in 2000 with the original X-Men. At the same time, there’s the even more nebulous The New Mutants from writer-director Josh Boone still waiting in the wings as well. It technically still has an Aug. 2, 2019 release date, but Disney execs reportedly haven’t seen the finished product yet, and have yet to decide its ultimate fate. The possibility has been repeatedly suggested that the horror-tinged New Mutants might find itself shuffled off to a streaming service such as Hulu or Disney+. Meanwhile, the MCU itself is preparing to close out the over-arching plot that has been building ever since 2008’s Iron Man, something the studio has now coined as the “Infinity Saga.” This will likely be a very important delineation mark between all the Marvel films that have been released so far, and the ones to come, following Avengers: Endgame. That would no doubt seem like the perfect time to introduce a new group such as the X-Men, but Disney’s own crowded slate of MCU titles is sort of working against them here. Although we don’t know the exact order—and indeed, nothing is officially announced on the MCU calendar, save for Spider-Man: Far From Home—we do know that two untitled MCU projects are on the slate for 2020, and three in 2021. And given all the other projects we already know are in the works (Black Widow, The Eternals, Shang-Chi, Black Panther 2, Guardians of the Galaxy Vol. 3), that just leaves little room for our favorite group of mutants. With the possible exception of Deadpool—which Disney says will somehow exist as an R-rated entity under the Disney banner—we simply can’t expect to see any mutants in the MCU until 2021, at the earliest. Realistically, it might take even longer than that. We hope the X-Men fans in the house are armed with some patience, because you’re probably in for a wait.